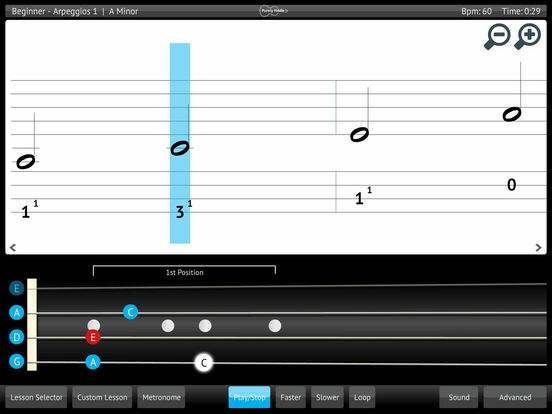 Purely Fiddle is designed to help you become a better Fiddle player. 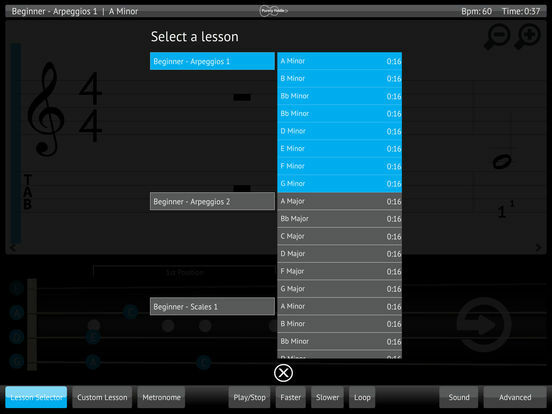 By repeatedly practising the routines and lessons included in the software, your playing technique will improve over time. The advanced visual interface adds an extra dimension to your Fiddle practice, so you can see and hear how the music plays. Content includes scales, arpeggios and rhythm accompaniments. 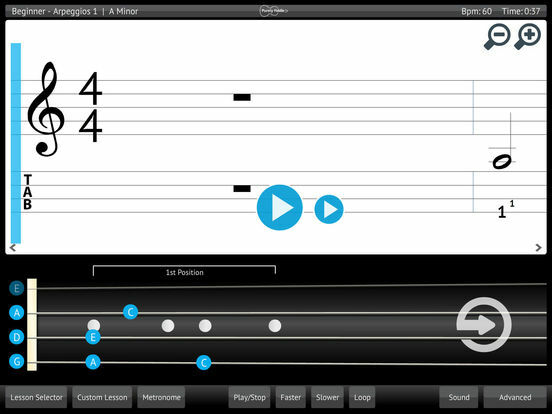 Play along with Purely Fiddle, with the help of a fingerboard, animated musical score and tab notation. Live animation makes it easy to follow the music, so you can practise in a way that suits you - whatever your skill level. See upcoming notes and hear how the piece should sound. Choose to hear synthesized music or a metronome rhythm - or a combination of both, if you prefer. This lets you engage in a listen-try approach to practice. Structured lessons to improve your playing technique - from beginner to advanced. Purely Fiddle includes lessons for all abilities, with new lessons available to download. 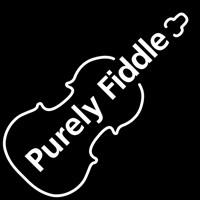 Don't get stuck in a rut - Purely Fiddle gives structure to your Fiddle practice. Variety is the key to improving your playing technique! Variable tempo to suit your skill level, allowing you to speed up or slow down each routine as required. Create your own tailor-made lessons to suit your individual needs, by combining the existing routines into new lessons. This allows you to build up your own practice 'playlist', if you prefer to focus on certain areas. Choose from one of 70 routines included in the software, which have been specially designed to improve your playing technique from the moment you begin. All routines have been created by a professional musician with the aim of improving skills for all abilities, whether you're a beginner, intermediate or advanced player. Everyone knows that practice makes perfect, but it's easy to get stuck in a rut practising the same routines over and over again. Purely Fiddle gives structure to your practice, guiding you through sets of lessons that will help you to progress to the next level. What's more, you can keep your practice fresh by downloading content updates for a whole year. Build your own tailor-made lesson schedules by simply using drag-and-drop to arrange the existing content into groups of your choice. Choose a tempo to suit your individual needs for each lesson or routine. Switch between hearing the music, the metronome or a combination of both to aid your learning. 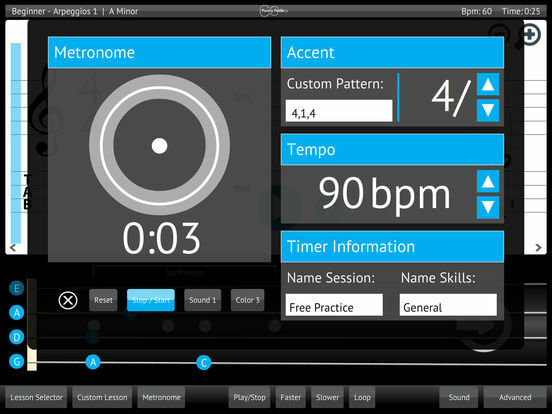 Play along with a stand-alone metronome to provide a customised tempo. Choose a constant tempo with adjustable accent (measure length) and visual display.